British Columbia is situated in Westernmost corner of Canada. What could you possibly think of and couldn’t find in British Columbia? British Columbia offers you all. To quench your thirst for seeking snow-capped mountains, you could go skiing in Whistler’s Blackcomb or Kootenay Rockies. To seek adventure, you look for wildlife near the Muncho Lake. 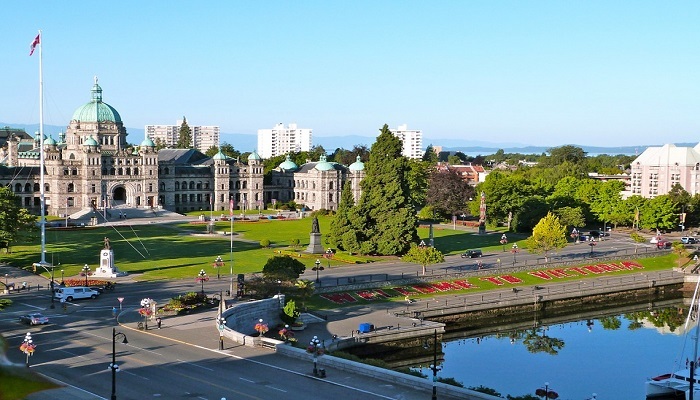 To experience the charm of Victorian Era buildings, you could visit the city of Vancouver. The City will mesmerize you with not only its Victorian Charms but also with its high nightlife. To explore the surfer hidden in the corner of your soul, you could go surfing on tremendous waves at Pacific Rim National Park. And finally, to bring your quest of inner peace to an end, you can lay beneath the skies of Canadian Rockies and spend your night stargazing at the Milky Way. This is what the country has to offer to its citizens. If you want to migrate you the province, you need to apply for British Columbia Nominee Program. There are three ways in which you can apply for the British Columbia Provincial Nominee program. The first way is to apply through Skills Immigration, the second way is to apply through Express Entry British Columbia. And finally, you can apply for immigration in British Columbia through Entrepreneur Immigration. The first and the foremost thing is to get your profile registered in IRCC (Immigration, Refugees and Citizenship Canada). Each candidate can be segregated in the different categories based on their National Occupancy Classification Skill level. Skills Immigration Program is for those candidates who are skilled or semi-skilled and are in demand in British Columbia. To fall under the category of Skills Immigration, you need to be a skilled worker or a healthcare professional or an International Graduate or an International Post-Graduate or Entry Level or semi-skilled. You need to have National Occupancy Skill level 0, A, B, C or D. Unless you are applying for International Post-graduate category, you must have full time employment offer from British Columbian employer. It is purely point based system, depending upon the points received by the candidate wages are offered. You do not have register at BCPNP online if you are a healthcare professional. English proficiency can help you increase your score in the National Occupancy Classification Skill examination. Express entry British Columbia is for the individuals who are skilled workers and express intention to immigrate to the province. The candidate has to qualify federal Economic Immigration Program also. The Entrepreneurship immigration program is for those businesspersons whose enterprise has a benchmarked net worth. The candidate needs to display active participation in the managerial activities of the enterprise. In the nutshell, you need to be fall under the categories mentioned above to seek the privileges enjoyed by the citizens of British Columbia. Visa Services British Columbia Provincial Nominee program. permalink. Why is it Hard to Obtain an Australian PR Now?